This is pertaining to my hānai son, Jason Poole. I call him Iakona. He's been with me for quite some time now. I've always admired this young man. I invited him to join me. I took him in as a son. How did Pittsburgh-born, classically trained singer Jason Poole find himself knee-deep in mud, gutting fish on the remote island of Molokai? You are currently browsing the The Accidental Hawaiian Crooner blog archives for November, 2010. Crooner Break: Gearing Up for the World Premier of Sons of Hālawa! Sharing Aloha in our public schools. A few weeks ago, I was biting my nails as I sat in the commuter terminal at the Honolulu International Airport, waiting to catch my flight to Molokai. I was heading back to the ʻāina for a short but intensive period of study with my kumu, ʻAnakala Pilipo Solotario (aka Pops). Traveling to Molokai from New York City isn’t very easy. It takes several flights and almost an entire day to go from door to door. In a perfect world, I would fly directly from Newark, New Jersey to Oʻahu and then to Molokai. Sounds sweet, right? But the direct flight arrives at the Honolulu airport too late for me to catch the last inter-island flight into Molokai. That means I need to fly in multiple legs (portions). Multiple legs = lots of opportunities for things to go wrong. I’m usually a nervous wreck. For instance… I flew through Chicago this time. And… I travel with my tenor ʻukulele. But this time all things worked in my favor as I headed to O’ahu: an on-time departure from Newark, an easy connection in Chicago AND my ‘ukulele didn’t even raise an eyebrow on either flight. Once I arrived at the Honolulu International Airport, I took my time getting my baggage and made my way to the commuter terminal to catch my flight to Molokai. That’s when I noticed the imposing storm clouds. Now rain in Hawaiʻi isn’t quite the same thing as rain here in New York City. Rain can be an everyday occurrence in the islands–especially in the winter/rainy season. I didn’t think it looked too serious because I could see blue skies in the distance. It looked like a passing shower. After I checked in for the flight, I sent a facebook status update saying that I’d arrived in HNL–and thankfully my hānai sister, Kolokea, saw it. She works for the TSA at the Molokai airport and sent a message to me immediately–the skies were dark and ominous over Molokai and I needed to try and get there ASAP before the day’s flights were cancelled. Have I mentioned the planes that fly between islands are not very big? In fact, some might even call ‘em “tiny.” I was flying on Island Air which uses the Dash 8. Those planes seat about 35 people comfortably. I was hoping there would be room for me to tag along on the earlier flight and was waiting on standby. I was relieved when they called us to board–and even more relieved when I learned that there would be room for me on the earlier flight. In my mind, I could smell Molokai’s sweet breezes as we left the terminal. But that relief faded quickly as I climbed the plane’s steps and approached the door. The flight attendant told us that we all needed to deplane. The flight had been delayed. We needed to wait for a break in the weather. So, there I was, biting my nails (or what was left of ‘em!) as I waited to see if I was going to make it out. TAHC’s ALOHA FRIDAY TRIVIA CHALLENGE! Please post your answer as a reply to this message. All correct answers will be eligible to win a special email message from me. One winner will be randomly chosen at 11:59pm EST. Will YOU be this week’s lucky winner? **Crooner Update: I love seeing your responses every week! I’m so glad you guys participated in the ALOHA FRIDAY TRIVIA CHALLENGE! The song I was referring to was PĀPĀLINA (or PAPĀLINA) LAHILAHI. The title means “dainty/delicate cheeks.” The Alice Johnson reference came from two different sources–although I also saw PLENTY of sources online saying that the song is simply “traditional.” (aka composer unknown.) So I can understand how that could have been confusing. So, thanks to the technology from the folks at www.random.org, this week’s winner is… (Drum roll, please…) ROXANN! Congrats, Roxann! You are this week’s Trivia Superstar! I’m so glad you all went on this wild ride with me this week! And I hope you’ll play again next week, too! Ok, I’ll admit it. I’ve fallen behind in the reading. (I was a little busier than I thought I’d be while on Molokai!) But I’m making serious strides every day and loving every minute of it. Because HAWAII’S STORY BY HAWAII’S QUEEN (LILIʻUOKALANI) is an outstanding book to read! Are you guys loving it? But I think this book is fascinating! I know… I can’t be sure that Queen Liliʻuokalani actually sat down and wrote these words herself or if she had help–like a ghostwriter. Does it matter WHO really wrote it? Not in my book. (Bad pun intended.) I think it’s cool to able to peek into the lives of a very private group of people–Hawaiian royalty. We know what the history books have told us–which, in my humble opinion, isn’t all that much. So to be able to read about Hawaii’s last queen and to have access to such intimate details is really compelling. I love that she is really OPEN in all of this. She tells the good. She tells the mundane. And she tells the parts that I’m sure made her wince a bit when she wrote about them. I respect that. And I love that the book is also a travelogue from that period. 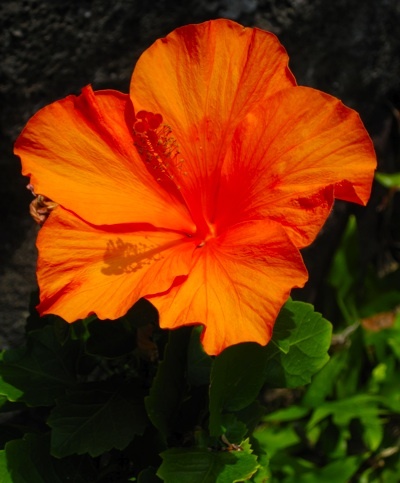 Queen Liliʻuokalani didn’t sequester herself–she travelled. So in reading her autobiography, I’m learning not only about the Hawaiian islands, but also about the world as she saw it. I know that the story takes a rough turn. I know that it doesn’t have a happy ending. But I also know that it’s a story that NEEDS to be read. A story that NEEDS to be heard. I’m enjoying keeping this book as my companion this month and I hope that you are, too. I’d love to hear what YOU think of the book so far. What parts do you love? What parts are making you stop and think? I always have my iPod with me. It’s my personal jukebox. Living in New York City, I spend a lot of time traveling underground via subway–and those rides can be long and boring! But having a collection of great music with me at all times keeps me from losing my mind. I can escape to a tropical isle with the push of a button. Portable paradise! Darrell’s youthful voice rings out loud and clear as he sings of the wonders of that island. I bought the album when it was first released, long before my first trip to Molokai–and with this song as my introduction, it made me REALLY want to go. Although, I have to admit it makes more sense to me now that I’ve spent some real quality time there, I know you’ll love it too–even if you haven’t visited Molokai’s shores yet. The lyrics mention the places, the legends and the people and–well–it brings images to my mind like a virtual photo album. Who says hula has to be about things like flowers and trees and wind and ancient chiefs? What about a more contemporary subject? I love this song, attributed to Matilda Kauwe, because it celebrates modern day heroes: the fire department. As an NYC resident, it makes perfect sense! Willie K’s delivery is awesome–both gentle and masculine at the same time. (I love–and envy–his effortless falsetto!) I heard his recording of the song first and it’s inspired me to not only seek out other versions but also it makes me want to learn to sing and play it. It would be an honor to record it someday and join the artists in the audio archives who’ve sung the fire department’s praises. Want to be transported back to Hawaii circa 1940? This recording will take you there! This is the only recording of the song that I have in my collection. The album’s liner notes say that it was a favorite song for Hawaiians in the 1930s and that composer is unknown. I love it. I love it’s simple structure. I love it’s seemingly simple lyrics. (I say “seemingly” because one can only guess what the composer’s thoughts were and if the words had any hidden meaning or kaona.) It’s a song that was absolutely written for a crooner! What are YOU listening to? Drop me a line and let me know!! I’m back in the Big Apple after spending an amazing 10 days/11 nights on Molokai with Pops and the gang. Our plane took off from the Honolulu airport on Sunday evening and arrived in Newark, New Jersey on Monday morning. I thought I was some kind of superhero who didn’t need to sleep. I kept myself busy all afternoon and danced at a hula class last night. I was wrong. I’m not a superhero. I’m a mere mortal. And mortals need to sleep. This trip was more intense than any other time I’ve had on Molokai. I hope those of you that read Stuart Holmes Coleman’s book, FIERCE HEART, will send along your questions to me here at the website. I’d forgotten how NYC literally “buzzes” with electricity! Auē! I really missed blogging while I was away. I’ve missed sharing with you guys every day. But I hope you know that I was thinking about our little “community” the whole time that I was there. Writing notes to myself so that I wouldn’t forget. Making sure I’d remember enough to so that I could share it with you all later. I miss the islands so much! But it’s good to be home, too. … but not for too long! Just until November 15th! I’m heading back to Hālawa Valley for a few intensive days of study (and some intensive fun!) with Pops and the gang. I promise to post as often as I can while I’m there, but I’m not anticipating having regular internet service. I’ll see you guys SOON! And KEEP STRUMMING ! It’s good for the soul!